Bench-top model that uses horizontal optical system. Suitable for thread pitch measurements-blurred or distorted images will not be produced when workpiece is angled. Inverted image on the day bright screen. 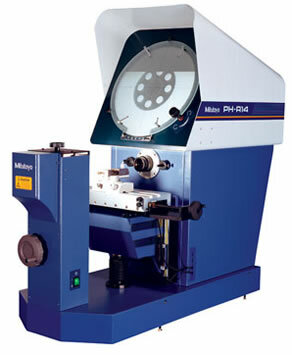 14”(356) diameter protractor screen with cross-hairs and staggered lines for easy alignment. 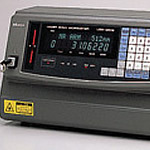 Heavy-duty workpiece table incorporates linear scales for fast, accurate measurement.